Anna is the owner of Pilates Centre. Classical Pilates is her passion and she trained intensively with The Pilates Center in Boulder, Colorado, to learn from the best instructors in the world, completing the Advanced Teacher Training programme and the Masters programme. She continues to learn more about the Pilates and the body, most recently travelling to L.A. for workshops with Jay Grimes, and then furthering her pre/post natal knowledge with specialist in depth training with Carolyn Anthony. Anna heads up the Classical Teacher Training programme at our studio. She holds a BA Hons Degree in Theatre and Dance from London Studio Centre and it was during her dance training that she was first introduced to Pilates. 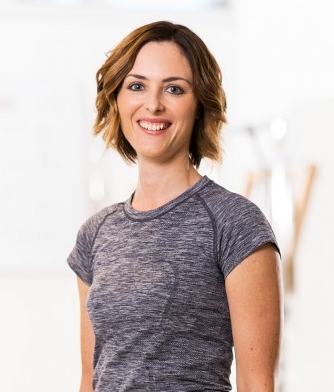 Anna loves working with a diverse client base and has lots of experience working with Pilates newbies, athletes, dancers, injuries, pre and post natal clients. 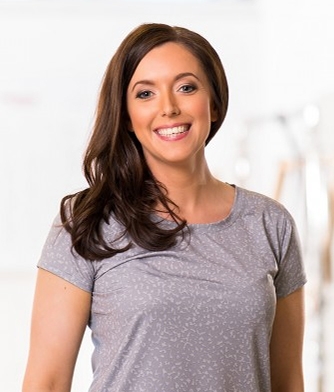 Catrina first found Pilates when she used it to compliment her sports and GAA training, diminishing injuries bothering her and then preventing further injury. Catrina brings energy and expertise to all of her classes. She qualified with and honours degree in Physiotherapy from Trinity College Dublin and is a member of the Irish Society of Chartered Physiotherapists. She also holds a BA Hons in Sports Science so has a fantastic working knowledge of the human body to support her Classical Pilates training with Pilates Centre. Fiona has trained on the 950 hour Advanced Teacher Training programme with The Pilates Center, Boulder, Colorado. She decided to train up as an instructor having been a practicing Pilates addict for many years. Fiona knows the commitment it takes to really embody the Pilates method and looks forward helping you achieve the same results. She is delighted to now have a new rewarding career alongside her other very successful career as a pharmacist. Marianna trained extensively in Classical Pilates with us here at Pilates Centre, as well as workshops with international instructors that inspire her. She continues to travel the world to learn more about this fantastic method. Marianna has a passion for wellness and teaching. She fell in love with Pilates almost a decade ago, when she started training under the guidance of PMA instructors. She has studied some contemporary Pilates approaches but it's the Classical Pilates Method that drives her teaching and practice. Simone is a graduate from the prestigeous The Pilates Center, Boulder, Colorado. Simone has found her exercise obsession in Pilates! She loves that you're always learning and achieving new things in your body. She decided to leave her previous career and create a completely new career as a Pilates instructor and is enjoying a whole new lease of life! Simone's classes will challenge you to bring out your best quality of movement in an enjoyable and encouraging environment. Nicola has trained extensively on our 550 hour Classical Teacher Training programme. Her classes are flowing in pace with lots of attention to detail. When Nicola isn't teaching she spends much of her time in Mammy mode with her beautiful family! Corinna had been a client of Pilates Centre since we first opened our doors, eventually training extensively on our 550 hour Classical Teacher Training programme. She embodies the Pilates method, ensuring she keeps consistant with her dedicated personal practice. We're proud to have the very best instructors working at Pilates Centre, each with a minimum of 550 hours Pilates training behind them before teaching in the studio. Our Classical Teacher Training will guide you towards becoming an intuitive, highly knowledgeable Pilates instructor with the full Pilates repertoire at your disposal. Pilates Centre is committed to passing on the tradition of Classical Pilates by offering teacher training that honours the integrity of the method developed by Joseph Pilates.